Cape Vidal is a sheltered bay located just north-east of St Lucia. The dense coastal forest on the dunes of this KwaZulu-Natal nature reserve in iSimangaliso Wetland Park is home to many birds and small mammals. 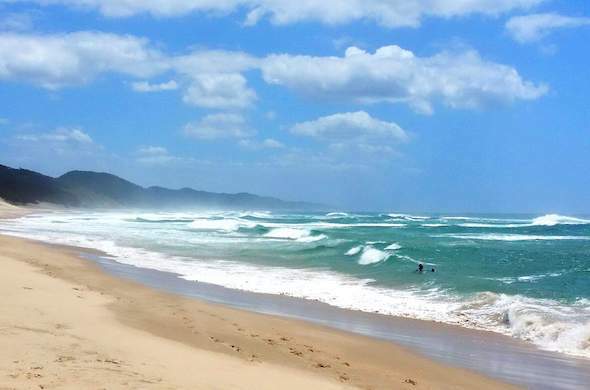 Cape Vidal is protected from the pounding of the sea by a reef and the pristine beaches of this KwaZulu-Natal nature reserve attract many sea turtles to nest on the shores in the summer. In winter you can spot Humpback Whales migrating along the coast. Cape Vidal is situated north of Durban in KwaZulu-Natal near the town of Hluhluwe and the village of St Lucia. iSimangaliso Wetland Park is a World Heritage Site with many attractions. It covers a huge area along the northern KwaZulu-Natal coast.